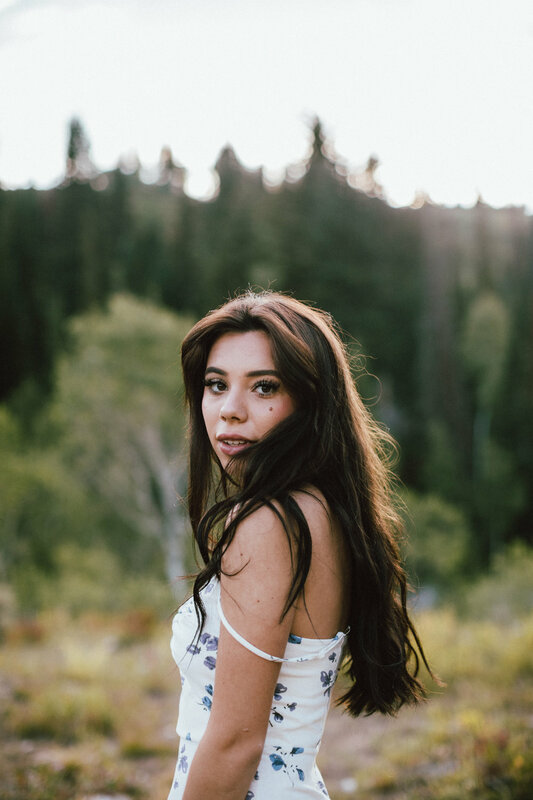 Madeline and I had talked about shooting for a while so I was so glad that we got to shoot right after we got to Utah! 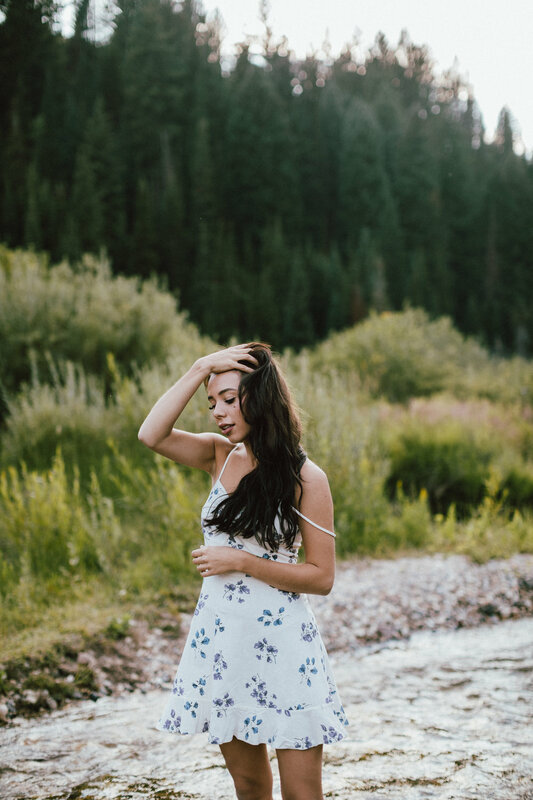 We met and headed up Big Cottonwood Canyon in search of some awesome backgrounds and light. This was our second look as the light was dipping below the mountains and I'm in love with the light and saturated colors.